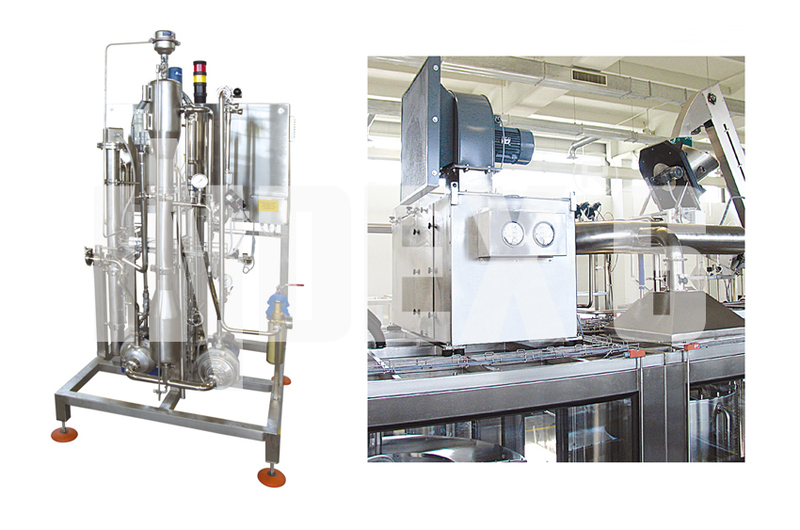 INDEX-6® manufactures machines for rinsing and drying of glass and plastic containers. Depending on the concrete application we offer linear and rotary rinsing machines that work with various combinations of rinsing solutions – water, ozone treated water, hydrogen peroxide solution, sterile air, hot air, steam. 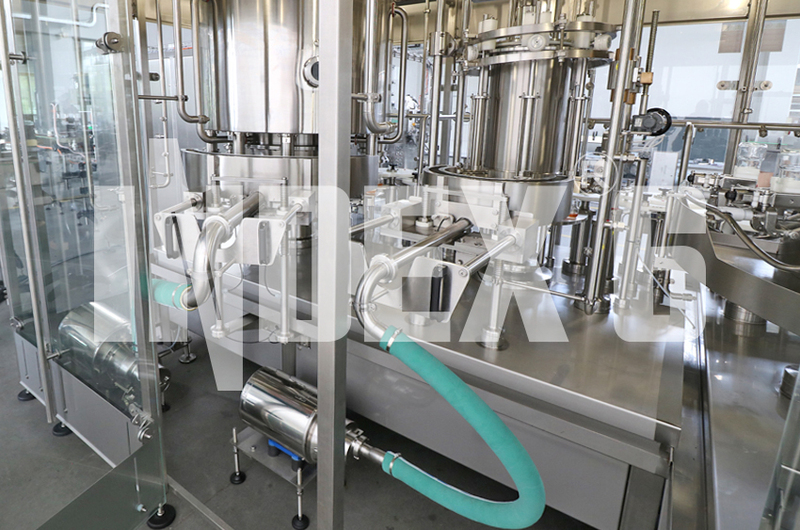 For capacities from 4000 to 12000 containers per hour and when a large variety of containers types and shapes is used in the factory, we offer our universal linear gripping rinsing machine model IND-Wash 56. It can be very easily adjusted for operation with different containers. It is capable to work with cylindrical, flat and polyhedral containers with volumes ranging from 0.12 to 1.7 liters in its standard edition. 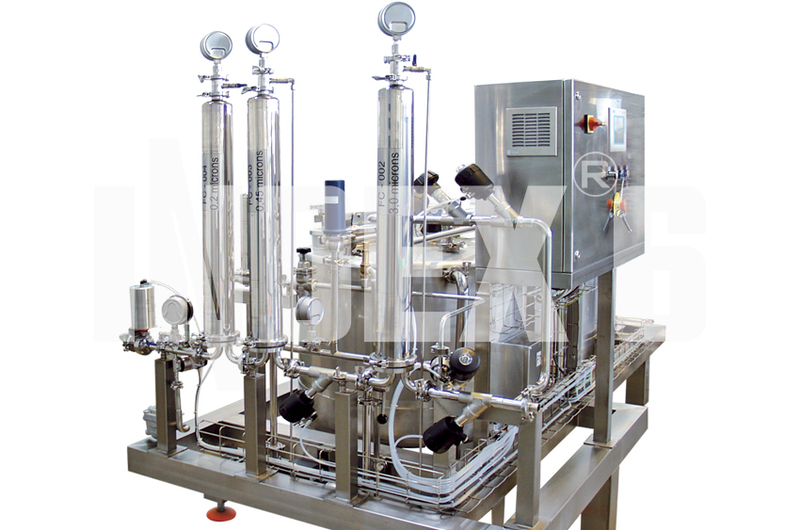 Special editions of this machine can work with containers up to 3 liters. 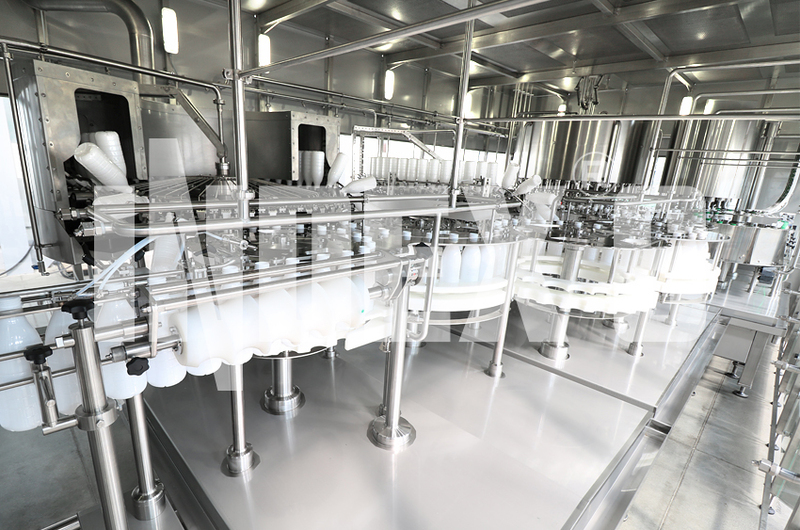 For glass and plastic bottles we have designed and supply rotary machines from the IND-Wash 55 series. 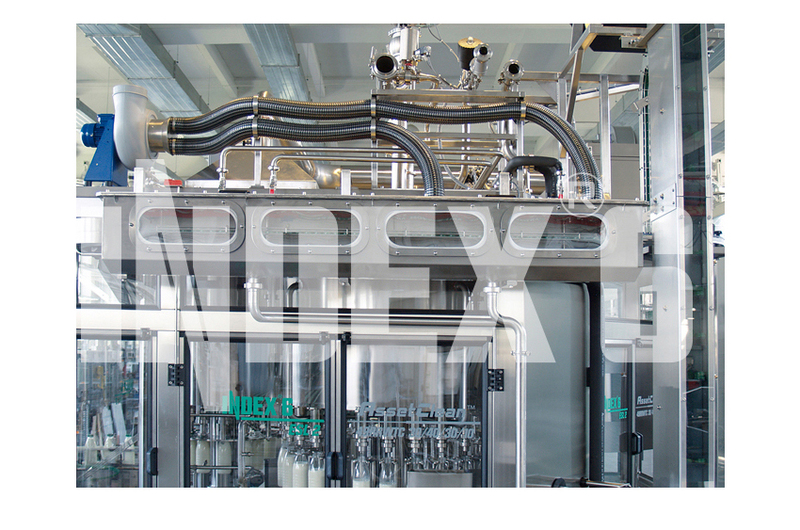 It comprises machines with different size – with 9 to 60 rinsing valves – that correspond to capacities from 1000 to 20 000 bph. Depending on concrete application and product technology requirements the machines apply single or double treatment with stationary nozzles or with nozzles sinking up to 80 mm into the container. 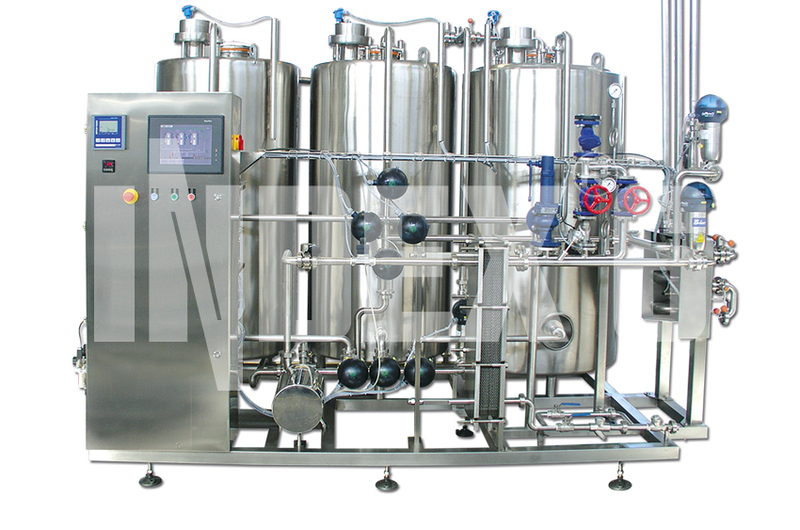 When higher requirements to container cleanness are applicable and they have to be sterile, the machines from the IND-Wash 55 series as supplied with various additional devices – for ozone treatment – the IND-OZ series, for hydrogen peroxide solution creation – IND-HOS, for sterile water preparation – IND-SWS. 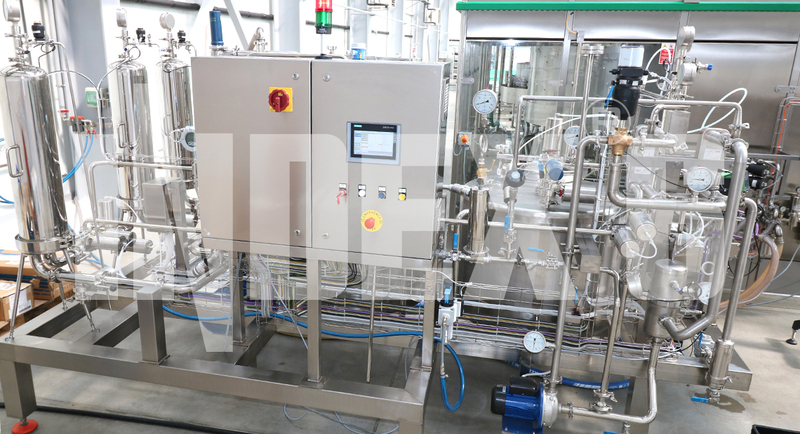 By using rinsers from the IND-Wash 55 series in double rinsing column combination allowing great increase in rinsing times and using hydrogen peroxide and sterile water, we achieve sterilization level of up to log 5. For water sensitive products like edible oils, mayonnaise and others the containers must be completely dry after cleaning. For such products we apply dry rinsing technology for the PET and HDPE containers, by spraying them with filtered air. For glass and metal containers we apply drying and sterilization after rinsing using our hot sterile air device IND-Blow 86.